Bienvenido! Bienvenu! Welcome and thanks for visiting my site! This is my first project attempting to chronicle my travels. Two years ago this December, I quit my job, sold my stuff, said many tear-jerking goodbyes and set out on an adventure I never imagined was possible. This website is my story, my many stories, of traveling, self-exploration, stumbles and falls, and how I found my footing in this crazy world by diving head first into it. Here you will find me at my rawest: humor, loneliness, excitement, nervousness, joy, love and friendships. I try my best to make you feel as I do, which is a roller-coaster, to say the least. So hold on and enjoy the ride! 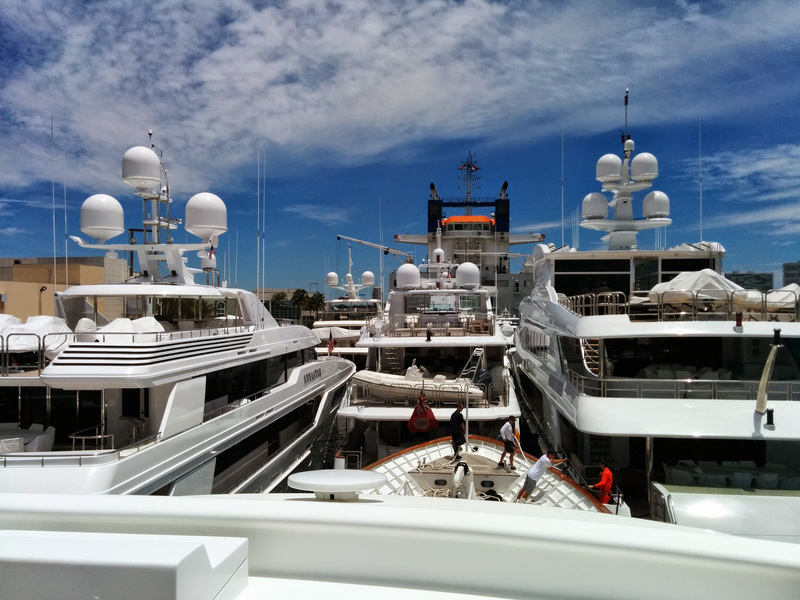 Yachting… What can I tell you about yachting? Well, for starters I am writing this with pen and pad from the crew quarters of my boat with only emergency lights to see with. We are in the unexpectedly slow and tedious process of securing our vessel on Dockwise, a 700ft carrier ship that takes old boats like mine across the Atlantic. My fellow crew members are either sleeping, poorly and without AC, helping to get power to the boat (Thank you engineering team!) or ambling about restless from a full day of this madness. To add to our collective headache, an alarm has been beeping incessantly all day to signal the ships loss of power. As if we were not aware. But enough moaning. This process we are all lamenting is actually really cool. Part of this massive carrier submerges, filling the cargo area located at the top, center of the ship with at least 20 feet of water pushing the loading area down to sea level so the yachts can be driven in. Eyeballing it, I’d say nearly 100,000 cubic feet of water (easily 400ft x 120ft x 20ft deep) fills this area! It’s crazy! Very carefully these yachts are driven in, only feet to spare in between. It is tight enough that crew from every boat has to stand prepared with fenders as the boats around them load. Then divers go under each boat, setting up metal stands that will cradle each boat when the water is emptied. The water is released, the carrier rises back above sea level and the hull of each yacht is welded in place to the metal stands. Ladders are brought to each boat (the hulls are 10-20ft) and power cords are hooked up as engineers are required to stay on board each vessel as the carrier makes its way to Italy. As you can see, while our expectation was to be off the boat by noon, it is completely understandable that this process takes all day. It is now 11:30pm and we just got power! The trip will take three weeks. So for the rest of the crew (minus the engineers), we get a two week paid leave which does not count towards our vacation time. I. Am. Excited. Which brings me back to the point… Yachting: A Crazy Year of Adventures, Misadventures and an Abundance of Self Exploration. The thing is, this life equation doesn’t necessarily equal a life of happiness. It is just not that simple and it took this captain saying so for me to realize my entire being up to that point had been in preparation to continue on this plan, a plan I had never stepped far enough away from to consider and accept. It was an overwhelming “Eureka!” moment. Everything came rushing to me all at once. Images of college, of my incredibly unfulfilling cubicle job that was considered a “career starter,” of all the work I had put into getting to that cubicle job. I was not only blindly following this direction, I was running full steam towards it, always yearning for more, always day dreaming of faraway places, never satisfied (though is anyone ever?). Meeting this guy, a seemingly minor acquaintance, changed my life. A week after he left, I bought my ticket to Florida. Three weeks after that, I had found homes for my cat and dog (the hardest thing I had to do), had my wisdom teeth removed and sold all of my possessions minus two boxes at my Dad’s and my suitcase of clothes. I cried like a baby saying goodbye to friends and family, posted a terribly cheesy Facebook status, then set my watch for East Coast Time Zone, and thus, my adventure began. Throwing myself whole-heartedly into it, I hit the ground running. 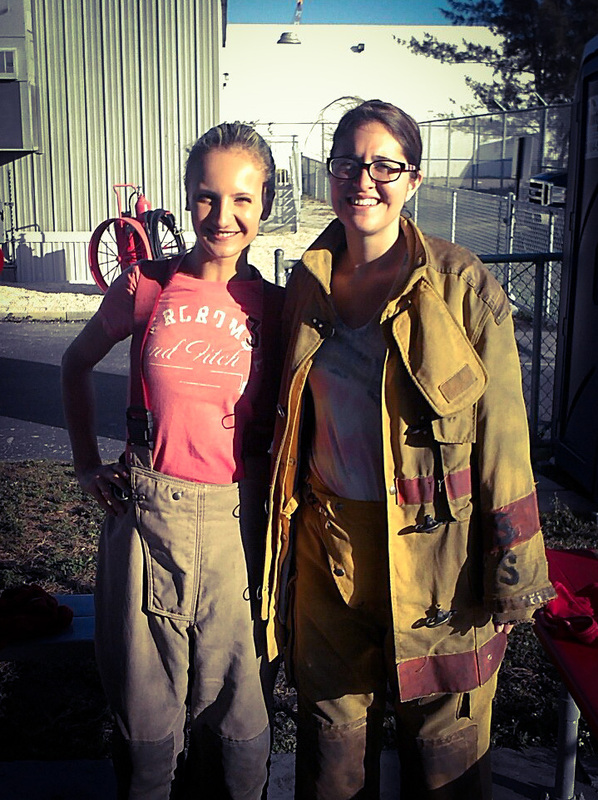 Firefighting & marine safety courses, crew houses full of unusual accents and new cultures, free cocktail ladies nights, fast-paced time warp good times and an independence like I had nev er known. I moved into the first crew house on Google’s list, looking forward to a screened in pool and rooms chock full of bunk beds. My two week experience there is one to which an entire book could be written about. Innocent in nature, I went a little wild with my new-found freedom. I knew no one there and that fact alone, was exhilarating. Coming from my small hometown where everyone knew everyone along with all their comings and goings. Here I had no eyes following my moves, no chance of an accidental driveby of my father while my boyfriend playfully tackled me onto the floor of my front porch (this happened at home… multiple times). I could come as I wanted, go as I wanted and do as I pleased. It was glorious and a story to be continued at a later date. Since then I have had ups and downs. I’ve been the happiest I have ever felt and the loneliest. I have learned the art of winging it (which really only requires the balls to take the leap of faith that everything will be okay) and how to accept change with an open mind. I have gotten down to literally $10 to my name twice, but each time I had enough groceries to get me through a week and the hope of daywork to pay my next week’s rent. Living in such an impermanent lifestyle has taught me more than I could have imagined about the world and how to cope with what life throws at you. Living in such a high stress environment has opened my eyes as to how I handle stressful situations and ways I can improve myself. At the worst of times, I need only peer out of my porthole and glimpse the vast sea on which I am living. I love it. My heart soars when I see that ocean, vast and blue and ever moving.